The most hyped NFL secondary of all time has been exposed, devalued, and abused. 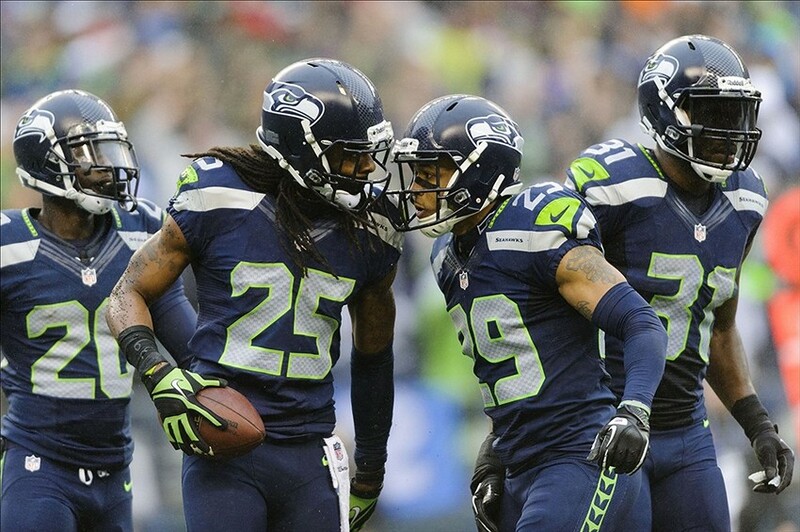 The almighty Legion of Boom has transitioned into the paltry Legion of Doom. Just one week after being torched by Desean Jackson for 157 yards, the Legion of Boom (LOB) surrendered 250 yards and two touchdowns to the Cowboys on Sunday; with Dez Bryant owning Richard Sherman. Sherman, quite possibly the most feared cornerback of all time, was outplayed and overpowered by the dominant Bryant. Although Bryant’s game stats weren’t superb, it was evident that Tony Romo threw to Bryant when the Cowboys needed a big play. While I have a great deal of respect for the Seahawks stingy secondary (after all, they allowed the fewest passing yards and touchdowns last season), they have simply under performed so far this season. Currently they are ranked 19th in Opponent Passing Yards Per Game and tied for 17th in Opponent Passing Touchdowns. Not to mention, they are tied for second to last with interceptions; only two for the season. And maybe the most startling stat is that Opposing quarterbacks have a 99.9 Rtg againstSeattle’s secondary this season. Ouch. What could possibly justify the mediocre play of the once supreme LOB? Maybe Seattle’s defensive line isn’t putting much pressure on the opposing QB’s; giving the QB more time in the pocket to make decisions, and giving the receivers more time to find isolation. In fact, Seattle is ranked 25th in the league in sacks, with only seven. Maybe the secondary is more effective in zone versus man to man. Maybe the arrogance is finally catching up to them. Or maybe its just the fact that they are, indeed, overrated. While the LOB’s subpar play is definitely not a situation to panic, it is a situation that should be evaluated from here on out. Since they are amongst the most respected secondaries in the league, it is time that they start playing like it. I believe they can resume their dominance, but will it be too late? A wise man (Sherman) once said “Please keep trying me. I’m going to take it from you”. Well Richard, time will tell, because you have yet to take anything from anyone this season.